What began as part of the fitness craze over 20 years ago has now become a dynamic and exciting competitive sport. 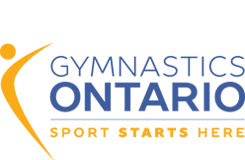 Simply put, Aerobic Gymnastics combines aerobic choreography and gymnastics elements. These phenomenally fit athletes perform incredibly fast, eye catching routines to upbeat music. Their nonstop performance incorporates complex and high intensity movement patterns which originate from traditional aerobic dance. Judges are evaluating each athlete on their ability to deliver perfectly executed elements of difficulty with artistic flair. The winning routine shows excellent technique with a balance between airborne, floor and aerobic dance. It includes elements of dynamic and static strength, flexibility, balance and the ability to perform high flying jumps. The competitor must also include various combinations and sequences from the list of 7 basic aerobic steps: Knee Lift, Kick, Jacks, Lunge, March, Jog and Skip. Both men and women have been enjoying Aerobic Gymnastics since the mid 80’s, when the International Gymnastics Federation (F.I.G.) accepted it as a proud member of the worldwide gymnastics ‘family’. Although not yet an Olympic event, Sports Aerobics appeals to dancers, fitness enthusiasts and gymnasts alike. In Aerobic Gymnastics, athletes may perform as Individuals, Mixed Pairs, Trio or as a Group of six. The Trio and Group can be any combination of men or women. Although creativity and expression are critical factors at every level of performance, it’s the intricate ‘lifts’ performed in the Pairs, Trio and Group competitions that really excite the crowd!